Ruth C. Mitchell, 96, of Zanesville, died at 8:46 A.M. on Tuesday, January 29, 2019, at Altercare Zanesville. She was born April 25, 1922, in Philo, a daughter of the late Hillis and Flora Welch Mitchell. She was a retired Tax Agent for the State of Ohio Department of Taxation, a member of Euclid Avenue United Methodist Church, and the Methodist Women's Society. She is survived by a nephew, Michael (Bonny) Mitchell and a niece, Judy (Frank) Triplett. In addition to her parents, she was preceded in death by a sister, Mary M. Mitchell, and two brothers, David and Hillis Mitchell. Friends may call from 11:00 A.M. - 12:00 P.M. on Friday, February 1, 2019 at the BOLIN-DIERKES FUNERAL HOME, 1271 BLUE AVENUE, ZANESVILLE. No funeral service will be held. 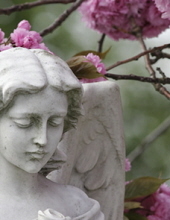 A private burial will take place at Duncan Falls Cemetery, Duncan Falls. To send a note of condolence, or to order flowers or comfort food: visit www.bolin-dierkesfuneralhome.com , follow us on Facebook, or call our professional staff at (740)452-4551.